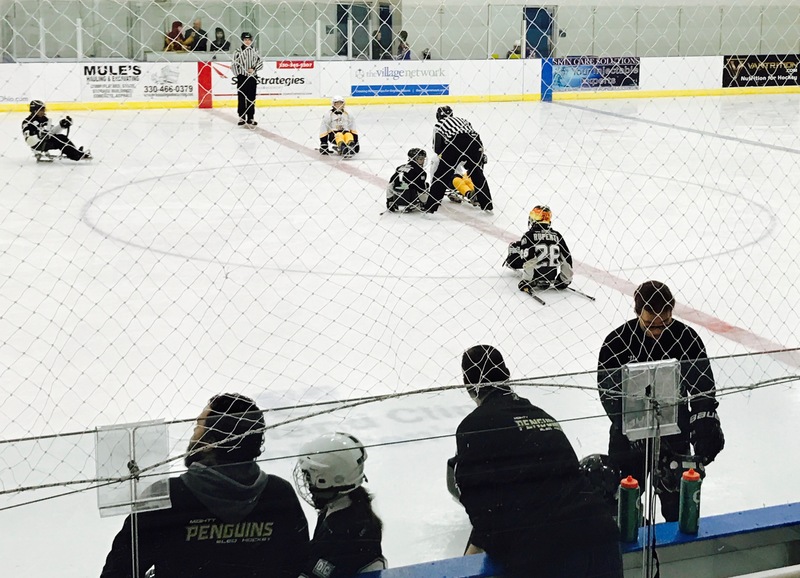 On the weekend of November 12, 2016, the Junior-Novice team took part in a tournament in Wooster, Ohio. There were three other teams in the tournament: Wooster, Nashville, and Grand Rapids. On Saturday, the 12th, my dad and I woke up at 4:30 a.m. and drove two and a half hours to Wooster. We were the first people at the rink, and ready for an exciting day of hockey. Our first game at 7:40am was against Wooster. The first two goals scored were by Wooster and it was 2-0 at the end of the second period. In the middle of the third period, Darrion Allensworth scored twice and tied the game. The game ended in a tie at 2-2. Our second game was against the Nashville Sled Preds. The first goal was scored by Nashville to make it 1-0. In the second period, I tied it up. Nashville took the lead back and it was 2-1. In the third period, Darrion scored to tie it at 2, and that was the final score. That was the end to an exciting day of hockey in Wooster. Later, my dad and I went to the hotel to check in. We had plans to go to dinner with my grandparents and a few other players. We went to dinner and had fun with each other with stories of the games we played that day. Early Sunday morning we had a game against the Grand Rapids Sled Wings. The game definitely was not our best work and we lost 5 to 0. We were on to the constellation game against Wooster. We took the lead early with a novice goal by Jacob Buchanan. Then Wooster tied it up in the second period to make it 1 to 1. In the third period, Darrion scored to give us the lead 2 to 1. We held on to our lead and won the game. We came in third place and were 1-1-2 through the tournament. It was a great tournament and I can’t wait for the next one! 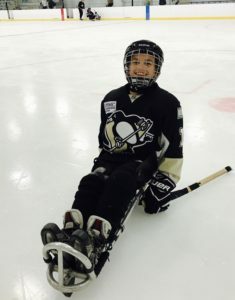 Mighty Penguins clinch National title at USA Hockey’s 7th Annual NHL Sled Classic!